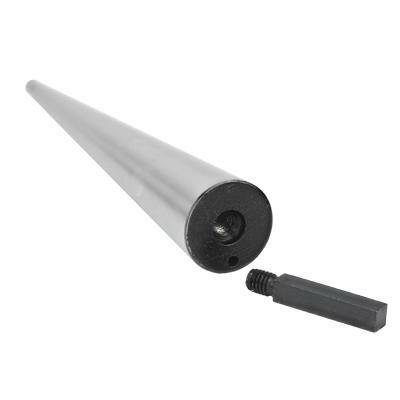 12 inch Round Tapered Hoop Mandrel with Threaded Rod Attachment for Handsfree Use. 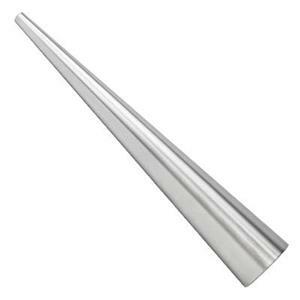 This chrome plated steel mandrel is great for making hoops and other rings! Includes a hardened steel rod for hands-free use. 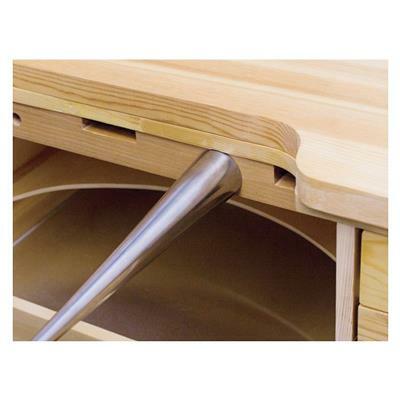 Screw it into the bottom of your mandrel the place it in a vise or in a hole on your jewelry bench. 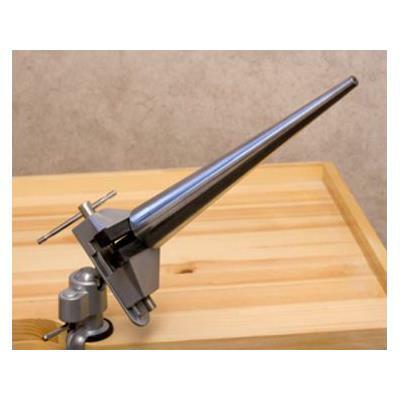 Perfect metalsmithing tool for jewelry designers! Mandrel tapers from 10-52mm. Notes: Mandrel tapers from 3/8" to 2". We use a non-hazardous, non-petroleum oil during shipping. It protects the tools from corrosion and rust during sea transits. This oil can be wiped from the tool using towels. I like this style better than the stepped mandrels, and the wide size range is helpful. So much better than the standard mandrel (for rings). I don't use it with the rod attachment, so I can't speak about that. I love this mandrel and use it frequently! Definitely a good staple to have for your shop. This mandrel arrived sealed in a thick plastic pouch with about 3/4 cup disgusting toxic machine grease swirling around in there. I can't even open the package, it's swimming in nasty grease. I understand it's good to keep the product from rusting, but this is just excessive :( ************************************** Halstead Customer Service response: Hi Rachel. I know it's messy but I assure you it's not toxic. The oil we use is a non-hazardous, non-petroleum oil which protects the tools from corrosion and rust during sea transits. This oil can be wiped from the tool using towels. We appreciate your comments and you are always welcome to return any items you do not find satisfactory within 30 days of purchase. Thanks for taking a moment to write a review!